Minimum quantity for "Salt Cell with Manifold Assembly PPM1 | For pools 28,000 Gallons" is 1. This patented AutoPilot Bypass Manifold includes the PPC1 cell, Tri-sensor and check valve. 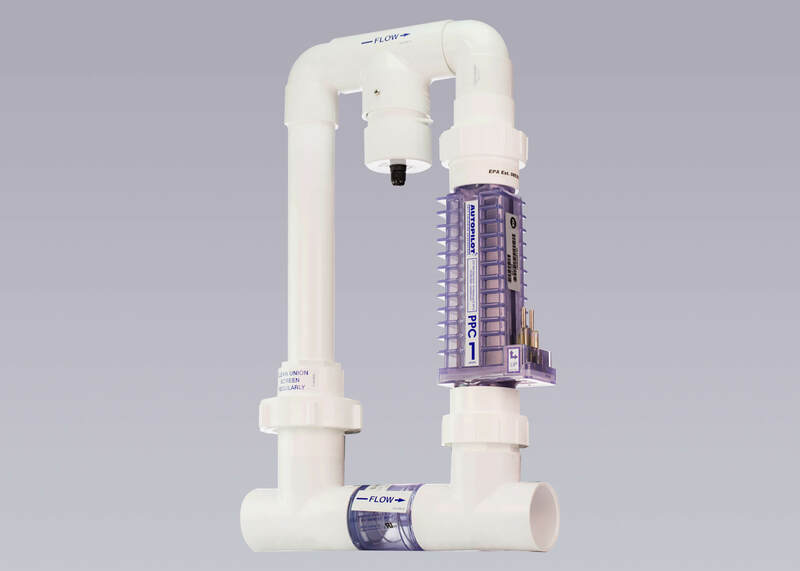 For pools up to 28,000 gallons with used with the Digital Nano power supply. Patented Bypass Manifold AutoPilot's patented bypass manifold is a pre-assembled unit designed to control the flow rate delivered to our cell. The spring check valve in the manifold allows excess flow, over 20 gpm, to by-pass the cell. The water in turn flows at a controlled rate through the cell where it is super chlorinated. 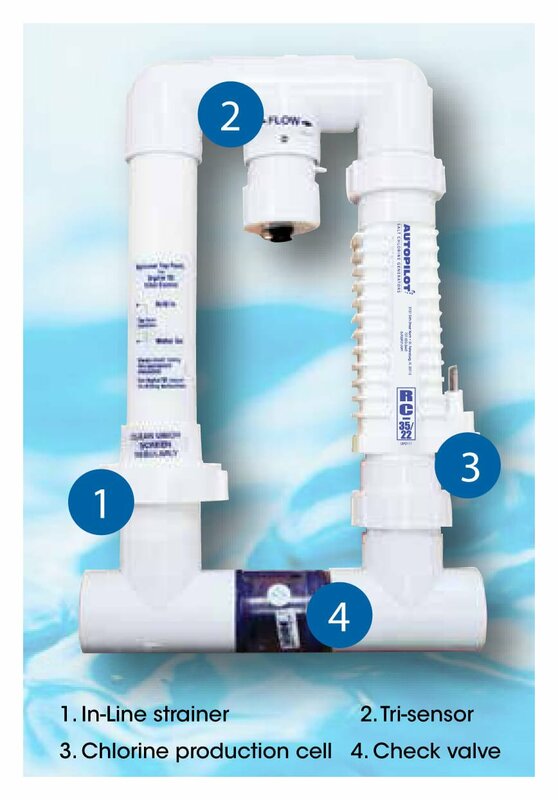 The in-line strainer on the inlet side of the manifold protects the tri-sensor and production cell from debris that might bypass the filter. 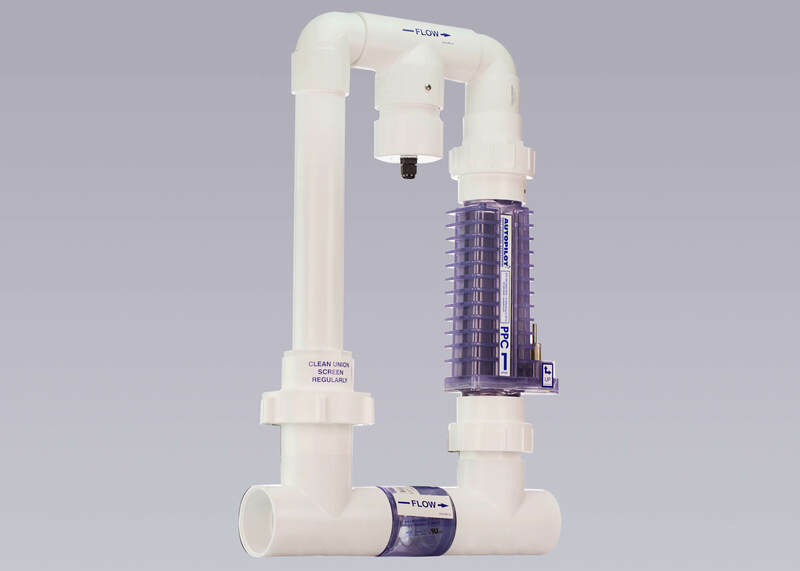 The location of the strainer next to a connection union makes periodic cleaning easy. 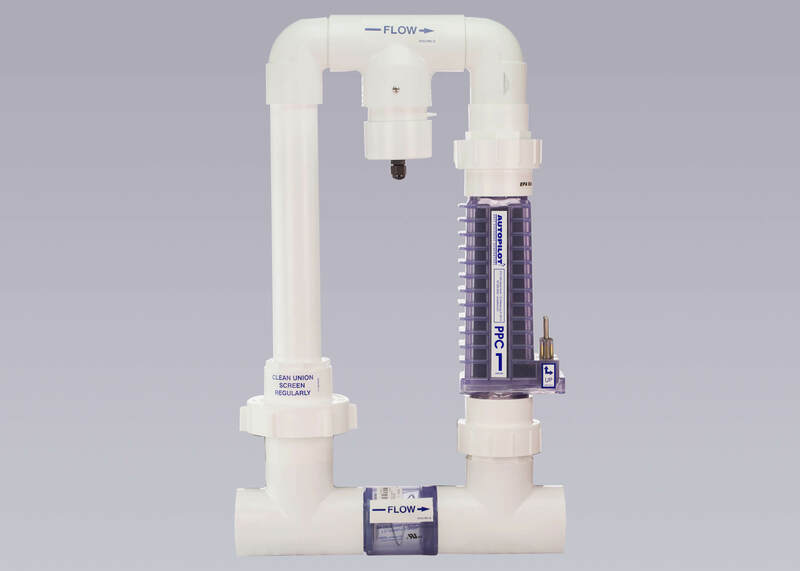 The design of our patented bypass manifold guarantees optimum chlorine production and simplifies the installation process of the AutoPilot Purifing System. The cell produces 100% pure Sodium Hypochlorite in your pool plumbing returning it to your pool.